Chung Laung Liu received the B.Sc. degree from the National Cheng Kung University in Taiwan (1956); the S.M. and E.E. degrees (1960), and the Sc.D. degree (1962) from the Massachusetts Institute of Technology (M.I.T.). Professor Liu has devoted his entire career of over thirty years to the teaching profession. He was a member of the faculty of the Department of Electrical Engineering and Computer Science at M.I.T. from 1962 to 1972. He joined the University of Illinois at Urbana-Champaign in 1972, where he was a Professor of Computer Science. Professor Liu was the author and co-author of five books and lecture notes. In 1968, he wrote the book Introduction to Combinatorial Mathematics at a time when combinatorial mathematics was emerging as an important branch of modern mathematics and when computer science education was undergoing rapid development. His pioneering effort in bringing discrete mathematics into the undergraduate curriculum of computer science had a profound impact on computer science education. He published the lecture notes Topics in Combinatorial Mathematics in 1972, and the book Elements of Discrete Mathematics in 1977 (second edition 1985). He also co-authored the books Linear System Analysis (1975), and Pascal (1984). Professor Liu 's research interest includes computer-aided design of VLSI circuits, realtime systems, combinatorial optimization, and discrete mathematics. He has published two research monographs and over 120 technical papers in these areas. Professor Liu served as a board member of the Computing Research Association and the Computing Sciences Accreditation Board. He served on the editorial board of the journals Graphs & Combinatorics, Algorithmica, IEEE Transactions on Electronic Computers, and SIAM journal on Computing. He is the Senior Consulting Editor of the Computer Science Series of the McGraw-Hill Book Company. 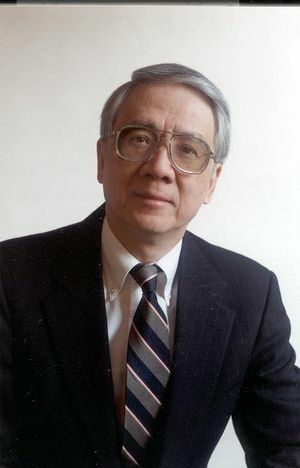 Professor Liu received the Taylor L. Booth Education Award from the IEEE Computer Society in 1992, and the Karl V. Karlstrom Education Award from the Association for Computing Machinery in 1990. He was elected a Fellow of the Association for Computing Machinery in 1994, and a Fellow of the IEEE in 1986. He received a Meritorious Service Certificate from the IEEE Computer Society in 1991. He received a Guggenheim Foundation Fellowship in 1987, and an Alumni Achievement Award from the National Cheng Kung University in 1986. Professor Liu was awarded a Best Paper Award at the 1986 Design Automation Conference. At the University of Illinois at Urbana-Champaign, he received the Halliburton Engineering Education Leadership Award in 1992, the Andersen Consulting Award for Advising Excellence as an undergraduate advisor in 1990, both the Campus Award for Excellence in Undergraduate Teaching and the Burlington Northern Faculty Achievement Award in 1988, the Senior University Scholarship Award in 1985, and the Everitt Teaching Award in the College of Engineering in 1983. He is married to Jane W. S. Liu, who was a Professor of Computer Science at the University of Illinois at Urbana-Champaign. They have a daughter, Kathleen. This page was last edited on 27 February 2019, at 19:14.